Barkeep Ryan Espe mixes a margarita in one of the Canteen’s signature aluminum cups. 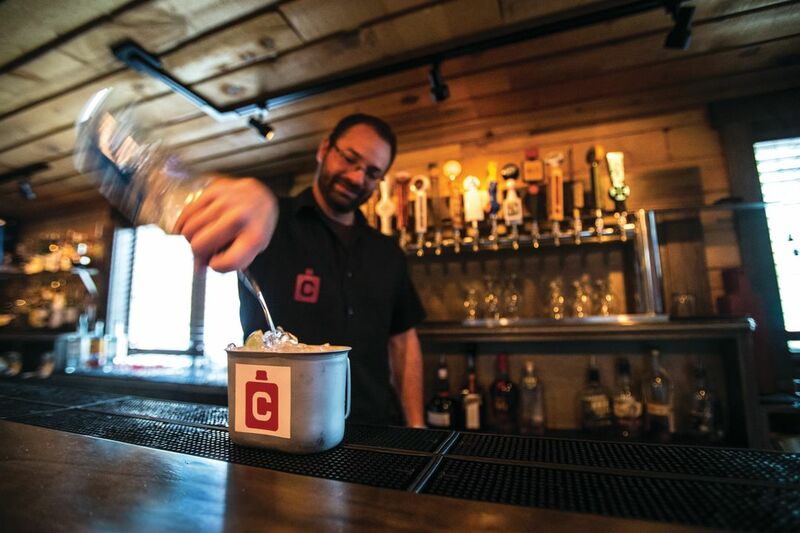 Twenty years ago, Greg Dalrymple, George Connolly, and Mike Stager were slinging drinks and spinning yarns as bartenders on Breckenridge’s Main Street. They even worked together at various times: Dalrymple and Stager were part of the opening staff at the Hearthstone, and all three tended bar at Downstairs at Eric’s at one point. Like hundreds in their profession before and after them, each dreamed of one day opening his own ski-town restaurant. Youth inevitably ran its course, and eventually the men started families and moved on to different jobs in different places. Stager became a contractor, Dalrymple a cabinetmaker, and Connolly a salesman, all working in Denver. But they kept in touch and nurtured the dream, even if it had been relocated to life’s back burner. Intermittently, they looked into acquiring a couple of places in Golden, but the deals fell through. Then last year they learned that the Steak and Rib, for decades a mainstay eatery on North Main Street, was closing. 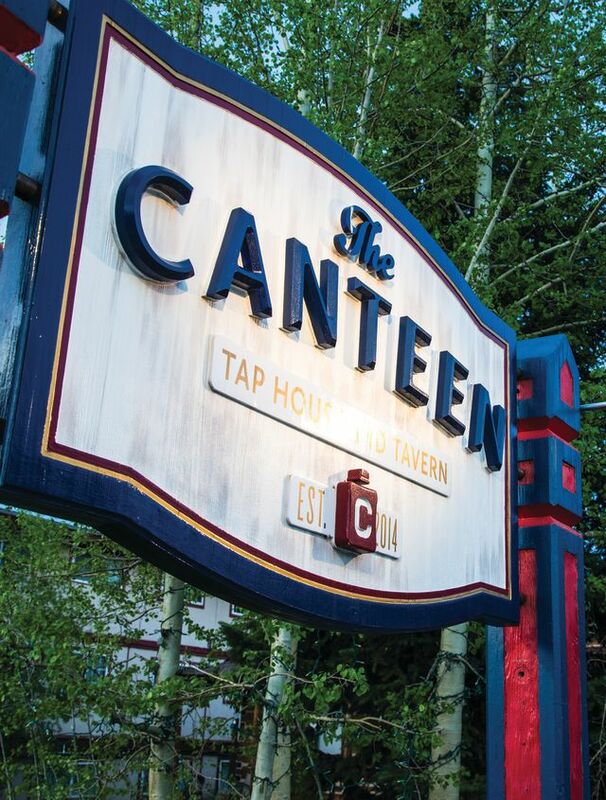 The three old friends spent the next six months negotiating to take over the lease and finally open their own place—to be called the Canteen Tap House and Tavern—before finally collecting their first dollar bill last December. The Canteen has quickly distinguished itself for its burgers (try the Hoss: bacon, cheddar, house BBQ sauce, and onion rings; or the Honeydew: fire-roasted green chiles, cream cheese, honey, and yellow mustard) and ribs, which are brined for 45 minutes then smoked for four hours to achieve falling-off-the-bone tenderness. You can choose from 13 Colorado craft breweries when you order a pint. Specialty cocktails come in 24-ounce aluminum canteen cups. Dalrymple, Stager, and Connolly say they were not intimidated to enter a crowded restaurant market in one of America’s most established resort towns. “We were excited by the prospect of coming in and becoming players,” Dalrymple says. As any businessman knows, it helps when you know the territory.